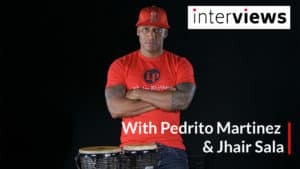 Pedrito Martinez is a world-class Afro-Cuban percussionist — a rumbero called upon by many jazz and pop stars when they need hand drumming, as well as a Grammy-nominated singing bandleader in his own "Pedrito Martinez Group." 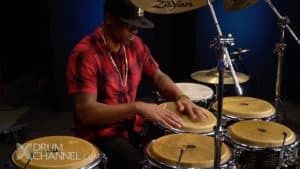 He Plays a dynamic mix of traditional Cuban rumba, Afro-Latin jazz, and Spanish flamenco music. 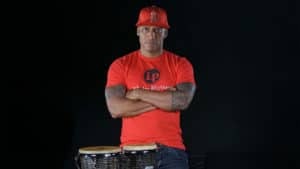 Born in Havana Cuba in 1973, Martinez began performing professionally before his teens with such local legends as percussionist Tata Güines, as well as the folkloric ensemble Los Muñequitos de Matanzas. 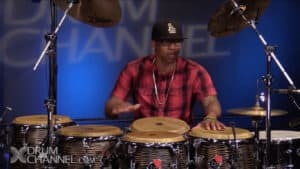 He took first place in the inaugural Afro-Latin Hand Drumming portion of the 2000 Thelonious Monk Jazz Competition. Also in 2000, he worked with Claudia Acuña, Mark Weinstein, Eliane Elias, Paquito d'Rivera, Steve Turre, Brian Lynh, and many others.